Did you know that hanging and organizing photos on your wall can be a work of art? 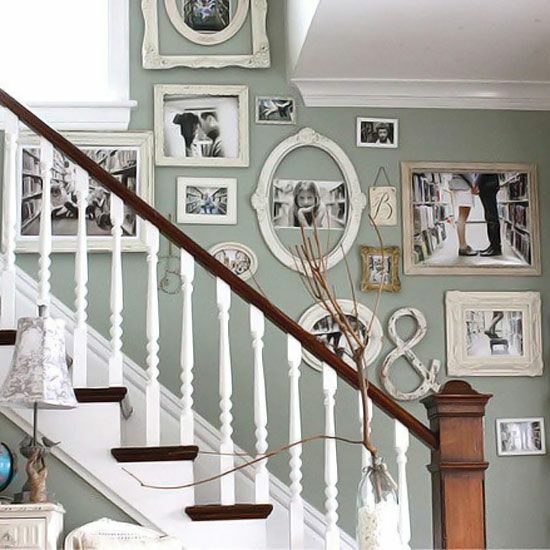 Pictures and photos of all kinds used to be hung in a straight line, parallel to others. Today, we can group our photos in many ways, forming various shapes and creating interesting effects. Here are a few simple ways you can decorate your interior with photos and make it look like it came out of a dream. One thing to pay close attention to is the height of the desired spot and how it relates to the surface, proportionally. The picture should be at the height of your eyes – depending on your position, which can be seating or standing. 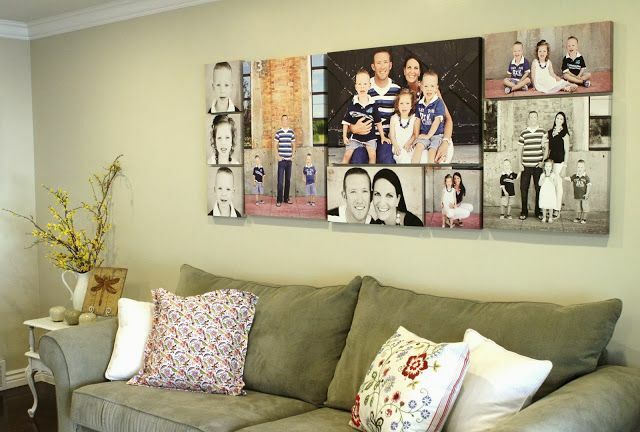 In the living room, the pictures should be placed lower, about one or two hands above the highest point of the couch. This is because the living room is usually a place where you sit or lay around, so you don’t want photos high up where you would have to stretch your neck to see. However, when placed in the hall, photos should take a higher position. When dealing with proportion, we also need to think about the size of the composition. Too big of a composition will swallow the space, while a smaller one will get lost in it. For example, if we are placing the photos above a sofa, the composition should be about two thirds the size of the sofa, or bed in question. If you wish to have many pictures on your wall, it is best to arrange them on the floor first, to get a clear overview of the position. Take your time and make various combinations until you find the right one. Then you need to take some cardboard paper, cut out the shapes of the pictures and position them on the wall, according to the combination you made on the floor. It is also advisable to mark the position of hooks on the paper as well. Place the heavier pictures in the bottom left, because human perception goes from left to right, at least in most cases. This will create the balanced composition that you’re looking for. If you have pictures of many different sizes and shapes, place the biggest one in the middle, as it will also settle the balance. When talking about the weight of a picture, we don’t just mean the physical weight, but also the weight of the colors, the motifs, landscape and the frames. Perceptively heavier pictures have lots of details and a wider frame. If you want to decorate your walls with photos, but you don’t have enough, or just don’t know which ones to choose, then hiring a photo booth might be your best solution. Photo booths can be loads of fun for you and your friends and family, and the photos you get will be the perfect choice for your wall. Not only will they be of the highest quality, but will also make the room more vivid and lively. Consider painting the background of the wall on which you wish to hang your photos in the same design used as a background of the photo booth. This will create an interesting effect that goes beyond the pictures themselves.